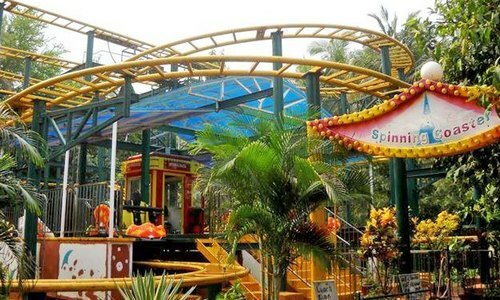 Deal – Use below coupon code and get 10% Discount at Tikuji-Ni-Wadi Thane Mumbai entry ticket online deal & offer for Amusement park & water park including Lunch. you can use those cashback to buy other deal on nearbuy website. If you want to buy Tikuji Ni Wadi Water Park Voucher of more than Rs.10,000, then use coupon code – BULK, this will give you 10% instant discount with no maximum discount limit. This is better than cashback offer which have upper limit of Rs.200-300 while with 10% discount, it will be at least Rs.1000. You can enjoy with food as low as Rs.1049 with following details. Tikuji–ni–Wadi is a 30 year old Family Theme Park, is set in between the serene hills of Manpada Chitralsar Thane. Tikuji-Ni-Wadi is an amusement park, water park, and a resort near Mumbai and at Thane. It is located at about 15 kilometer (9.3 mile) from Mumbai.The Water Park has pools and water slides. The amusement park includes go-karts, roller coasters, giant wheels and water park.Additionally, there is a Shiva temple and marriage halls as a part of the resort.